We hear about so many great RV must haves. Talking about the best products for RVing is something that RV owners find enjoyable to share with each other. 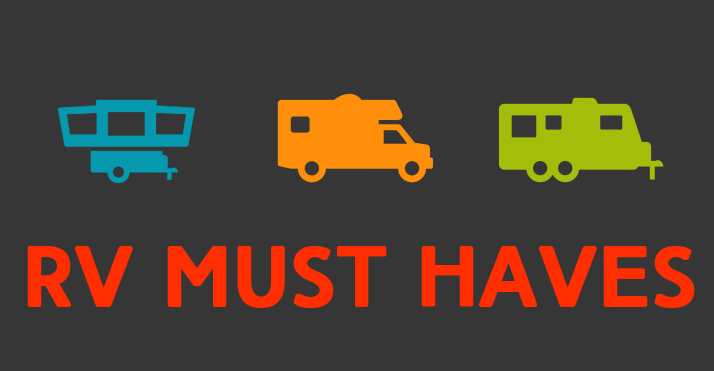 So, over the past few months, we’ve been keeping notes on the most common RV must haves we came across. 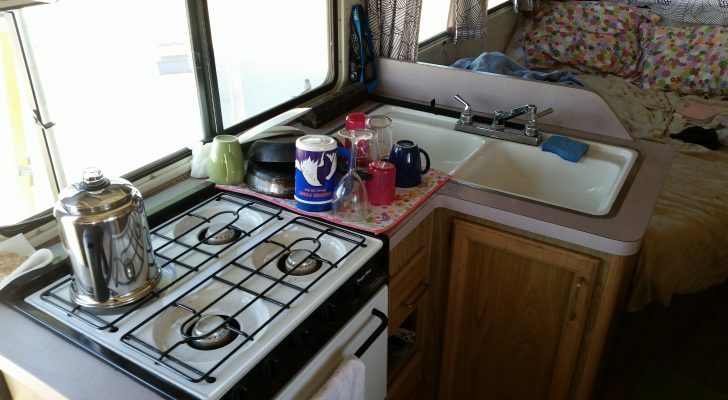 We also connected with RVers on Facebook, Twitter, and Google+ to see what they thought were the best RV must haves. The responses were nothing short of amazing. Thanks to all of the helpful folks who offered their advice. If you have your own personal RV must have, please let us know about it in the comments section at the end of the article! Power is always available when the sun is out, as long as you bring the right equipment. Keeping your gadgets charged has become an important part of our lives (or your kid’s lives). Products like this Solio Bolt Battery Pack + Solar Charger serve as an inexpensive way to keep devices charged as long as the sun is shining. If you’re new to solar power, read this introduction to RV solar panel kits and systems. RV grill chefs without lots of storage space for a grilling unit might consider the Cobb Portable BBQ Grill and Smoker. This device grills, smokes, bakes, roasts, fries and boils. The unit measures 14 x 14 x 14 inches, weighs 10 pounds and requires only seven or eight briquettes to get up to temperature. Who doesn’t love a cold, slushy beverage on a hot summer’s day? Whether you’re hooked up to electrical power or living off grid, you’ll find options in both corded and cordless portable frozen drink machines. The highest rated battery powered frozen drink machine is pricey, but it also delivers up to 80 drinks on a single charge! Boondocking piña coladas anyone? We know a few folks who defiantly carry paper maps. But most RV’ers have converted to some form of GPS device. Some use their smartphones and tablets. Most decide on a standalone RV GPS unit that is purpose-built to find routes for you based on the height and weight restrictions of a RV. The most popular options are the Garmin RV 760LMT, Magellan RoadMate RV9145-LM, and the TomTom VIA 1605M. Two-way radios make for a handy RV tool. 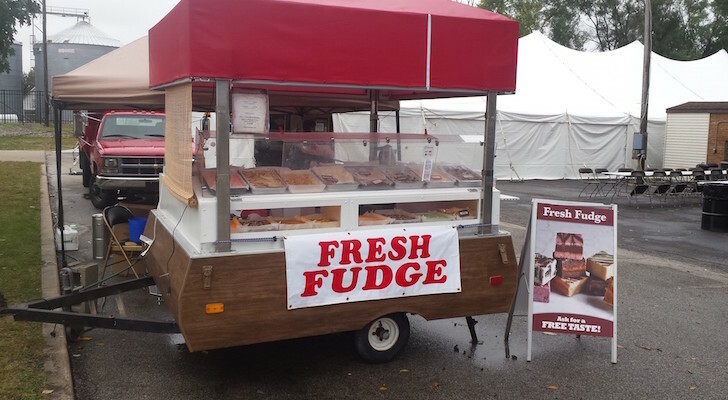 They can help with parking, keeping in touch at large venues, and they’re simply fun to use. Kids love them, too. If you’re in an area without mobile phone service, a two-way radio will still allow you to communicate outside of shouting distance. For RVers short on storage space, a single-serve micro blender is a great addition to even the smallest RV galley. These powerful blenders perform a variety of kitchen tasks ranging from making breakfast smoothies to blending sauces. Some of the best-selling options include those from Hamilton Beach and Oster. Cast iron pots are one of the most versatile kitchen tools around. They can be safely used on the stove, in the oven and over any camp fire without risk of damage. Season the skillets regularly to develop and preserve a nice non-stick surface. Move over French press, the Aero Press is the new champion of portable, high-quality coffee makers. This little one-minute coffee maker unit uses gentle air pressure brewing to produce one to four cups of richly flavored coffee. The micro filter removes almost all particulates, leaving you with pure coffee concentrate for lattes and espressos. Dilute the concentrate a bit to make your regular (American) coffee. 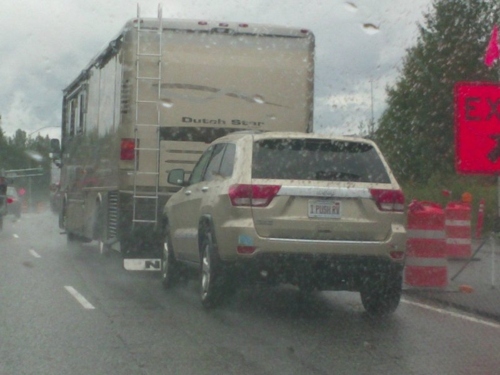 At $25, it’s the perfect size and price for the frugal RV’er! A bicycle comes in handy for more than short errands. If your vehicle becomes disabled, you can pedal away to get help if necessary. If you’re a casual rider, get an all-terrain, upright hybrid bike with street tires wide enough for any surface. Most folks are buying based on budget, but if space is a concern you might have a look at foldable bikes. Some of the most popular come from Schwinn, Dahon and Columbia. If you were caught in a disaster (or the home you left behind was), do you have your most important information stored and ready to go? Some RV’ers, especially folks on extended trips, are using an encrypted USB thumb drive, like this waterproof version available with military grade encryption from Integral. A portable tankless air compressor is handy for small jobs from filling bicycle tires to topping off a spare tire during a roadside emergency. Look for units that can pump to 150 psi and run on 12 volt and/or 120 volt. 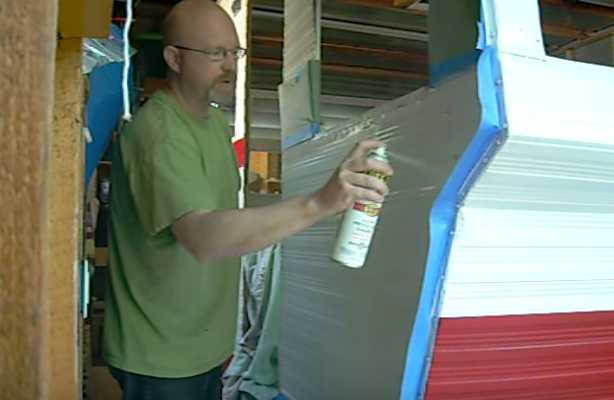 Tankless compressors can also be used to winterize your RV. At upwards of $200, a tire pressure monitoring system isn’t cheap. But having a blowout while driving on the highway could be a lot more expensive (and dangerous). 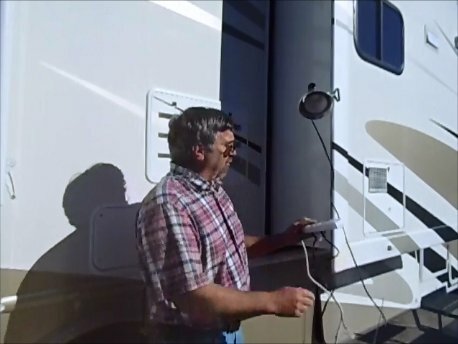 Many seasoned RV owners install an add-on system if their rig didn’t come with tire pressure sensors. 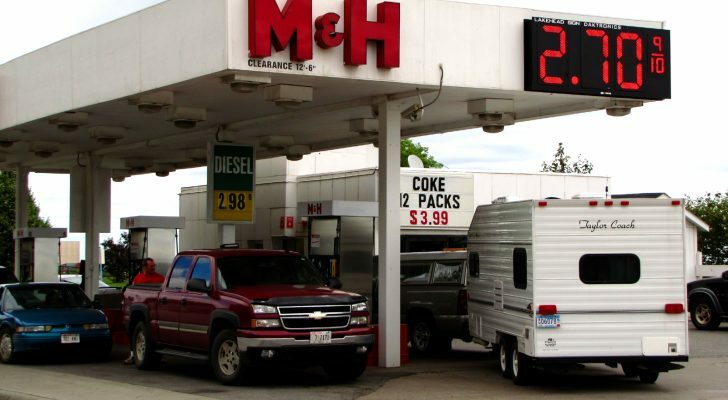 Read this article on how to properly measure the pressure in your RV’s tires. If you had a nickel for every time something was out of reach then you would probably have enough nickels to purchase a folding step stool. These are great for reaching the high cabinets, washing the RV, messing with the awning, and countless other tasks. Having a weather radio and device charger might prove to be the most important of the RV must haves. If weather is going to get rough, at a minimum you want to know about it and perhaps even get out of the way. A weather radio can help. This device however, has a few tricks up its sleeve. It is not reliant on batteries as it also has a hand crank so you can use it in any situation. It also can charge your devices in a pinch. It can also serve as a flash light as well making it one of the most adaptable gadgets to have in the RV. Flameless battery operated candles are great for decoration and even more so for light while camping. These flameless battery operated candles hold a small light and a battery to make for a great tool for safety minded lighting. – Rhonda G.
Finally you arrive and get setup. You set your rear end in your favorite camping chair with a refreshing beverage, then your uninvited guests arrive. Tiny buzzing vermin flying by your ear. Some even poke you and draw blood. No thanks! Keep a highly rated insect repellent and/or citronella on hand instead. –Curtis E.
All you want is a campsite in the middle of nowhere…. with WiFi right? Leaving the smartphone, tablet, and PC at home is becoming a thing of the past. Forget relying on undependable campground Internet access, now take your connectivity wherever you go with amobile WiFi hotspot (RV Internet). Many consider a strong WIFI connection to a defining factor in their travel plans! – Phil E.
There is something liberating about losing the reliance on the traditional power hookup. 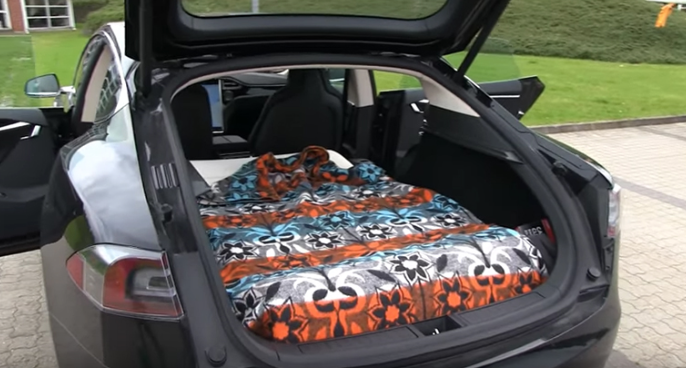 Harnessing the freely available energy from the sun can be extremely cost effective way to camp wherever you choose with out the need for campground or RV park power. RV solar power also tends to be great for the environment in comparison to running a generator! -Russell G.